I started playing chess when I was a kid and as I get older I’m becoming more and more fascinated by the game. I just play for fun online and over the board with friends, when I have a chance. I try to get better, and I even study some theory, but I’m not a great player, and I don’t have any aims to become a Master. I play because it’s fun and it’s a great exercise for my brain. King Shihram was a tyrant who oppressed his subjects. One of his subjects, a wise man named Sissa ibn Dahir, invented the game of chess for the king to play, to show him that a king needed all his subjects and should take good care of them. King Shihram was so pleased that he ordered that the game of chess should be preserved in the temples, and said that it was the best thing he knew of to train generals in the art of war, a glory to religion and the world, and the foundation of all justice. Then King Shihram asked Sissa ibn Dahir what reward he wanted for this great invention. Sissa answered that he didn’t want any reward, but the king insisted. Finally Sissa said that he would take this reward: the king should put one grain of wheat on the first square of a chessboard, two grains of wheat on the second square, four grains on the third square, eight grains on the fourth square, and so on, doubling the number of grains of wheat with each square (an exponential rate of growth). “What a dummy!” thought the king. “That’s a tiny reward; I would have given him much more.” He ordered his slaves to bring out the chessboard and they started putting on the wheat. Everything went well for a while, but the king was surprised to see that by the time they got halfway through the chessboard the 32nd square required more than four billion grains of wheat, or about 100,000 kilos of wheat. Now Sissa didn’t seem so stupid anymore. Even so, King Shihram was willing to pay up. But as the slaves began on the second half of the chessboard, King Shihram gradually realised that he couldn’t pay that much wheat – in fact, to finish the chessboard you would need as much wheat as six times the weight of all the living things on Earth. (London, 1843-1871, Biographical dictionary of Ibn Khallikan, vol. III, p. 71). There are other astounding facts of chess that illustrates the depth and complexity of the game. For instance, the number of possible chess positions is higher than the atoms in the observable universe. Besides those amazing facts, I love the strategy, geometry, beauty and creativity involved in a chess game. The more I get into understanding the game, the more impressed and attracted I am. After playing regularly, I’ve noticed a lot of improvements, not only in my chess skills but also in other areas, like my skills as an illustrator or my day-to-day life. Chess is a mental exercise (and a sport) that helps to improve many cognitive skills and mental abilities. Chess is a problem-solving game. I find it very similar to developing conceptual illustrations. You have to solve particular problems in a given time with the available resources. In the past, I used to play without time control, but recently I’ve started playing 5 and 15-minute games online. And it’s a very similar when I work on rush assignments for clients as The New York Times when you only have a few hours to develop an illustration. Time management is about making the right decisions depending on the time you have left. Sometimes you can’t aim to find the best move, or the best idea, because that will put you in serious troubles later. You have to manage your time wisely. Sometimes, finding decent moves effectively is better than finding great moves but consuming most of your time. In chess, people say that sometimes is better to have a bad plan than not having one at all. When you have a plan, it means that you have analysed the situation, and you know what’s going on. You can modify that plan (and improve it) as the game goes by and the position changes or new opportunities appear. Not having a plan means to play without being aware of the situation, and making poor decisions based on the present, not on the future. Having a plan is crucial, not only for developing illustrations but also for managing your career as an illustrator. It’s very related to planning. In chess, you need to calculate your and your opponent’s next moves. That allows you to make the correct decisions and see the big picture. Calculation is one of the fundamental elements of planning. In chess, a candidate move is a move that you seriously consider to play before moving. It’s common to have a few candidate moves per turn, and then make the final decision considering the consequences of each of them. I find a direct connection between candidate moves and sketches. Sketches are the candidate moves for a final illustration, and you end up choosing the best one after considering them closely. In chess, many times you must be creative. Sometimes, some opportunities can give you an advantage, but you must introduce creative ideas that allow you to benefit from that position. Similarly, when developing illustrations you need to be aware of those opportunities and do things differently to find the ideas that will lead you to end up creating a good image with a good concept. One of the best things you can do to improve your chess level is to analyse your games (and other’s games), forcing yourself to see where you failed and the best alternatives. You can use that analytical way of doing things to improve your skills and your situation as an illustrator or as a person. It’s very common in Chess to sacrifice a piece in order to open lines, start an attack or improve your position with compensation. I find myself doing those sacrifices as well being an illustrator. Sometimes I decide to sacrifice some of my time to accept certain assignments, on the other hand, sometimes I decide to sacrifice some assignments to free some time for my personal projects. Sacrificing it’s related to seeing the big picture, your plan and your strategy to reach bigger objectives in the future. There are a lot of possible games in chess, and even though it’s almost impossible to repeat an entire game again in future games, there are certain patterns that repeat constantly. As you keep playing, your brain is learning those patterns and its ability to recognise them increases. I find those patterns as well when developing conceptual illustrations. Sometimes the elements of an idea are different, but the creative resource behind those elements is the same. One of the greatest things of chess is that challenges you, and that means that you end up losing many times. That’s a great lesson for your ego. You learn that things don’t always turn out as you wished, and that’s an opportunity to improve yourself and learn to be humble. How to start playing chess? If you want to start playing chess but you feel a bit overwhelmed by the game, here are some tips. Learn how the pieces move, their value, the different stages of the game, and the game goals. That’s how I got hooked to chess initially. You can play games on the internet where you can have several days per turn. That means that you have a lot of time to think about your next move, and it doesn’t interfere with your busy schedules. As you feel more comfortable with your time management and your skills, you can play with time control. 30 or 15-minute with 15 seconds increment it’s a good starting point. Besides playing games, you can also do tactics. Those are short exercises where you need to find the best 2 or 3 next moves in a given position. It doesn’t take more than a few minutes per exercise, and it will improve a lot your pattern recognition and your ability to detect the tactics opportunities. And it’s a lot of fun! I follow some chess players that publish amazing content online for free. I strongly recommend John Bartholomew youtube channel. His Chess Fundamentals series are a great starting point. Chess not only allows you to improve your cognitive skills and abilities in many ways, but it’s also entertaining and a lot of fun to play. If my schedule permits, I try to play a couple of games every day. If you want to play, you can find me on Lichess.org or Chess.com under the username mgz47. Do you play chess? Do you play other games that help you to develop your skills as illustrators or in any other way? Please, let me know in the comments! I always admired chess but never started playing because I didn’t know how to start. Your article stimulated me to give it a try. Cheers! Me, too. My dad taught it to me when I was young but I never played. I’m going to give chess another shot now. I could recommend some extra resources that I haven’t included in the article to keep it simple. If you feel stuck at some point, let me know. Have fun! Hey Magoz! Your article is really thought-provoking, same as your works! I’m an editorial illustrator as well, but I’ve never thought of the connection of game and work. Your point is amazing. I think now I know why I love playing puzzle games and don’t have to feel guilty about it. ;) I’ve never played chess but I’d love to give it a shot. Thanks! You have a fantastic work, congratulations!! For me, it’s tough to separate leisure, work, or personal affairs. And I end up thinking, why should it matter? In the end, all is about investing time in the things you want and enjoy doing. Also, your favourite Finnish man has recently got into this game. You have a chess buddy here waiting for you! Me ha gustado mucho comprobar que te gusta este juego milenario. Hace unos años realicé un proyecto donde iniciaba a niños al ajedrez durante los tres años de la etapa de infantil. Fue un éxito ya que esos niños se “engancharon ” al juego. Sólo decirte que ya en las tumbas egipcias se hallaron tableros de ajedrez…así que algo bueno debe tener si ya lo practicaban estos visionarios. Un abrazo! Hola, Carmen. Gracias por realizar tal labor. El ajedrez debería tener mucho más peso en la enseñanza, desarrolla muchísimas partes del cerebro cuando todavía somos niños. Thank you so much for sharing this! I love read all your articles! I’ve never played chess, and to be far, I always though was a boring game! :p I prefer draughts! Anyway I completely agree with you. I’m an illustrator as well (at the beginning of my career) and also a runner. As you know the beginning is really tough because you have to be resilient, perseverant and just keep going, doing your things and never give up (even if anyone is believing in you right now). I think run is helping me because is more or less the same thing: when you are running, doesn’t matter at what pace are you going, or if you are walking, if you are struggling with the breath or whatever.. you just have to keep going and cross the line, don’t give up! So may be I should try chess now! :p Thank you! I totally agree with you and running (and exercising in general) is a great complement. I have been an editorial illustrator all my life and have played chess dice I was a little girl. You make some very interesting points about playing on line and or remotely. Sharing your interests and caring nature is much appreciated..
Hi Rollin! Hope everything is going well. Thanks for your comment, I’m glad you appreciate the articles! Awesome post man! I started doing chess tactics a couple a years ago for the same reasons and quit, don’t know exactly why! 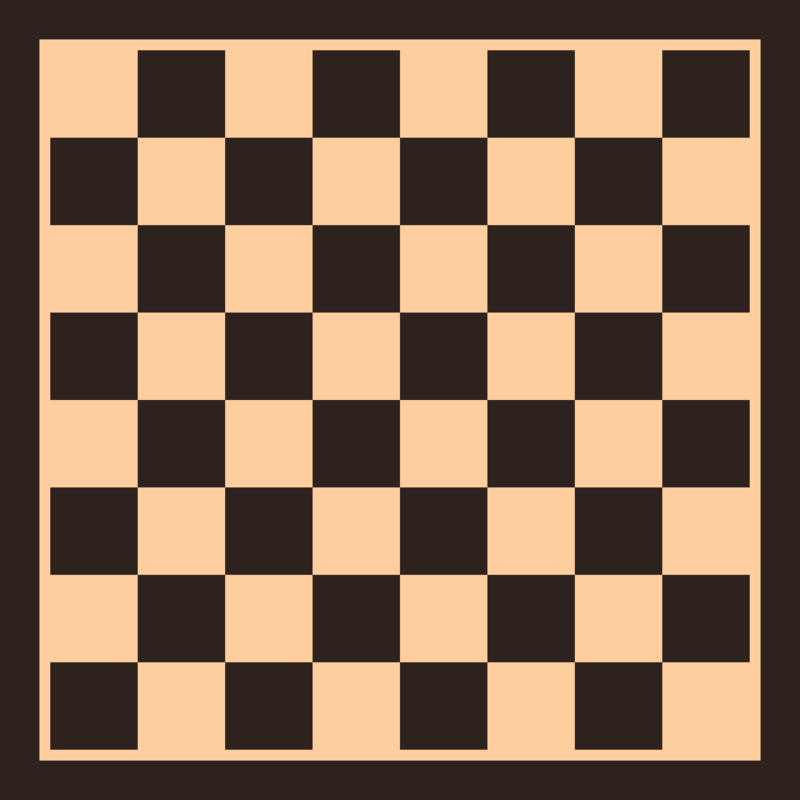 I too am a chess-playing illustrator, designer and animator. I learned as a child as both of my parents played, but it was just one game for a family that played aa lot of different games. I picked it back up over 25 years ago because I wanted a creative outlet outside of making art for relaxation. Plus I’m quite competitive so chess was perfect. You have very much struck on some of the benefits to playing that are applicable to making art for a living, especially time management and being practical with what one can creatively do under a deadline. I’ve been fortunate to have worked on several magazine covers for the U.S. Chess Federation’s Chess Life & Chess Life Kids. I think that there’s so many things pertaining to chess that can inspire art. Great and useful post! Thanks for sharing. Chess is a game awarding intelligence and creative work of human brain, proclaiming the glory of reason.